View our list of over 100 projects that we have completed or are currently working on! Here are some of our Project Highlights that showcase caulking, waterproofing, firestopping and joint sealant services we provide. If you would like more information, feel free to call us at 914-381-3607 or complete our online form. 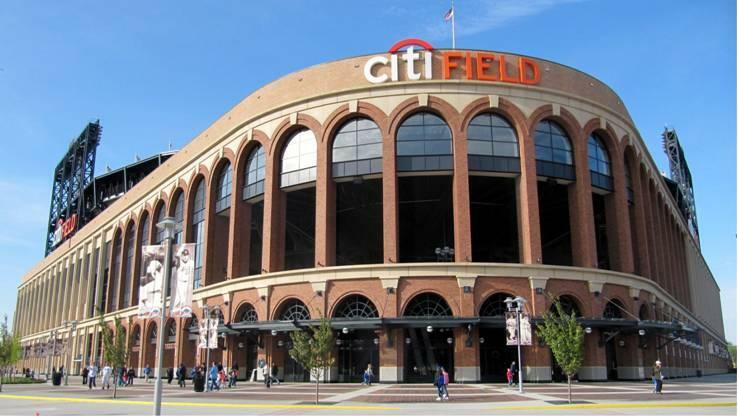 RSG caulked 200,000 lineal feet of precast, brick, concrete, windows, and granite at the new Met’s Citi Field in Flushing, Queens NY. RSG caulked every joint at the bowl area of the stadium, as well as all the exterior brick and stone walls using a 135’ articulating boom lift. In 2010, RSG completed the installation of the Emseal expansion joint system between the new building and the existing buildings. All the granite bases and the interior fire-rated stair case joints were caulked as well. 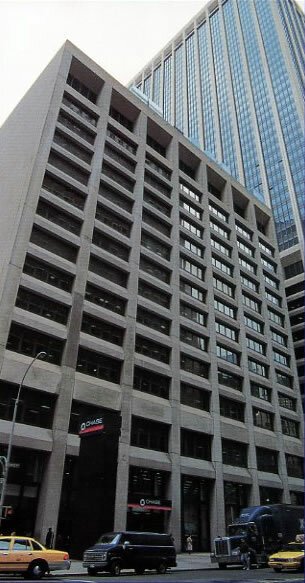 RSG installed waterproofing and expansion joint systems throughout the base of this building. There was limited access to the roof areas so RSG used a 170’ man-lift to caulk the large stone wall joints and punch windows at each end of the building. 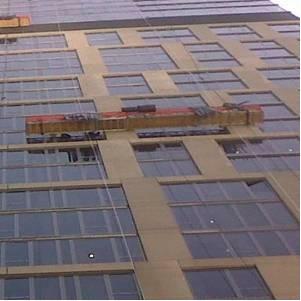 RSG caulked the exterior and interior façade of the Eventi Hotel as well as completed all of the slab edge firesafing. RSG also coated the concrete slab edges with Dow Corning AllGuard Elastomeric paint. 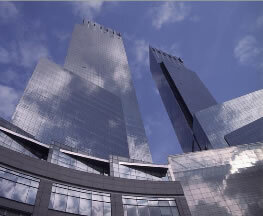 The AOL Time Warner Center is one of the largest buildings in NY. 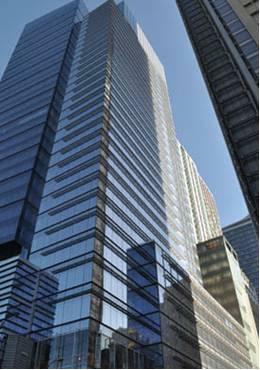 RSG Caulking & Waterproofing caulked approximately 400,000 lineal feet of curtain wall joints at both of the glass towers and the stone podium. 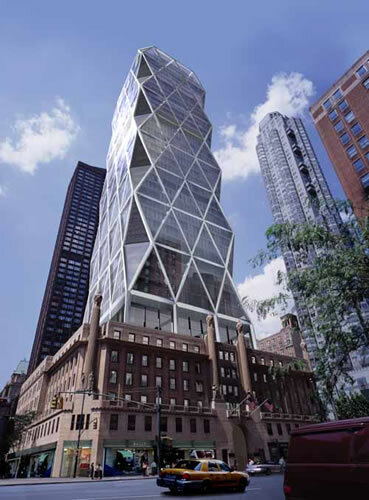 RSG did all the slab edge firesafing and mullion wrap fireproofing at the Hearst Building on 57th St. 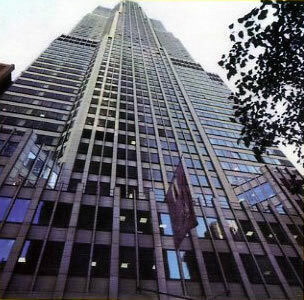 The Goldman Sachs building in New Jersey was completely caulked by RSG. 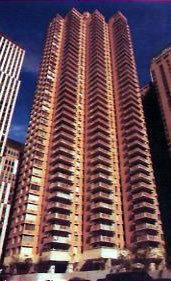 In 1997, RSG successfully completed the caulking of one of New York’s most prestigious towers. 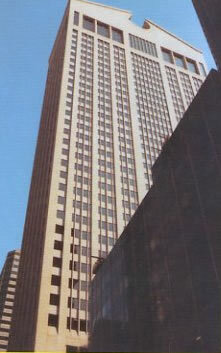 The AT&T building was perhaps the largest single stone caulking job in New York City in the 1980’s. RSG caulked this entire building months prior to our completion schedule. 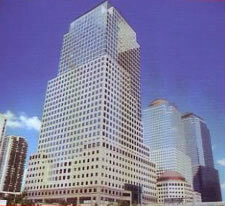 55 Water St. is one of the countries largest privately owned office buildings. 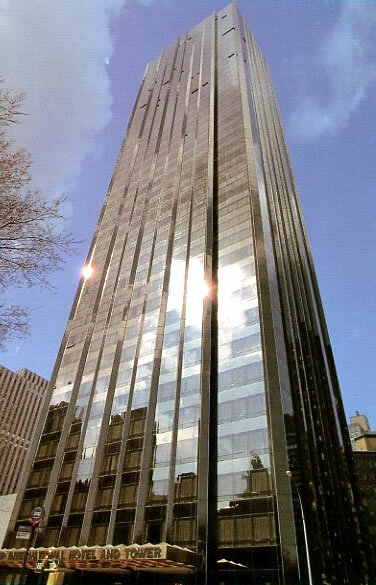 In 1997, RSG completed all re-caulking, 100% glass replacement, stone restoration, exterior coatings, and all metal polishing. 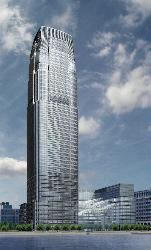 This $10,000,000 project was completed prior to the required completion date. 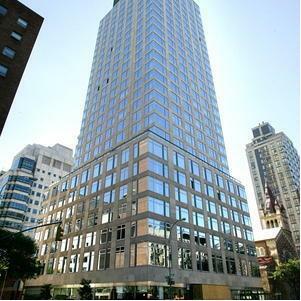 RSG completed all the exterior caulking at Battery Park City. We also repaired all the deficiencies of the original contractor’s work. 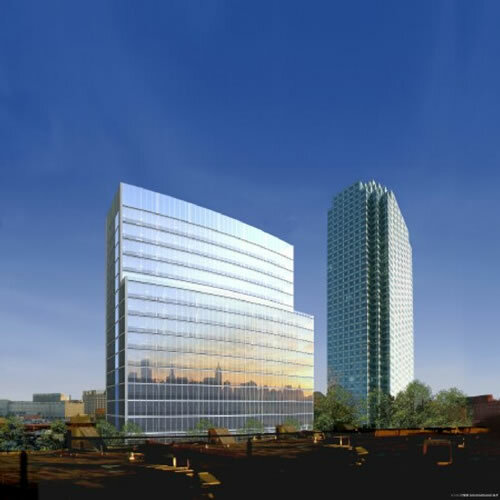 The work on this project encompassed The American Express Building, Building “C” and “D,” all exterior stone paving, the Wintergarden and the Green House. Prior to caulking, we completed all of the stonecutting, window washing, button installation, flashing work, and all of the other preparation work necessary for a first class caulking job. 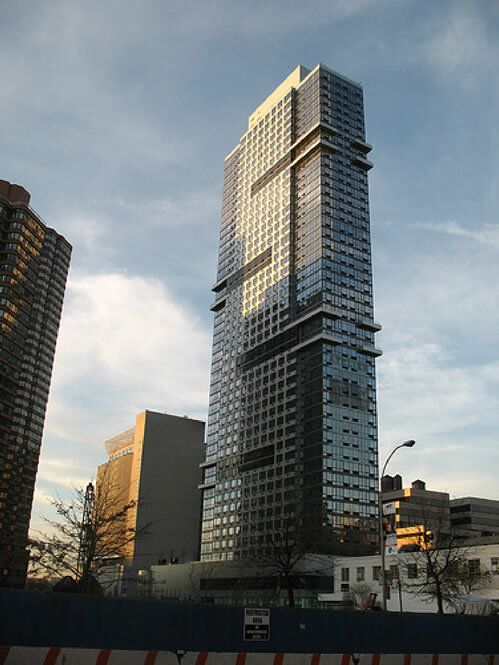 RSG did all the slab edge firesafing and the mullion wraps, as well as the caulking at the UNFCU building in Queens. As a general contractor to the NYC School Construction Authority, RSG completed a 5 million dollar, 100,000 square foot reconstruction of a terrace. Our work included the demoilition of the entire deck, installation of a new membrane waterproofing system, 100,000 square feet of new concrete, the installation of 76 new drains and a complete plumbing redesign, resetting 9 stone staircases, new railing, electrical systems, and all interior finishing work in this occupied school. Not only did RSG provide over 400,000 lineal feet of exterior stone and glass caulking, we installed all of the exterior metal snap-on covers, all Akemi stone patching, bulb gaskets, weep tubes, window washer buttons, and many other exterior adjustments. To meet important job schedules, RSG erected 14 electric scaffolds and had over 25 men working on the exterior of the building. 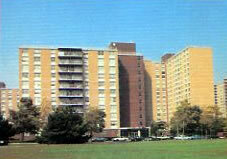 RSG repaired all of the concrete terraces and performed building restoration to 46 high rise buildings. We did brick repairs, pointing, coating, concrete restoration, waterproofing, steam cleaning, graffiti removal, silicone application, parapet wall repairs, coping stone repairs, and local law #10 work. View our list of over 100 projects that we have completed or are currently working on!